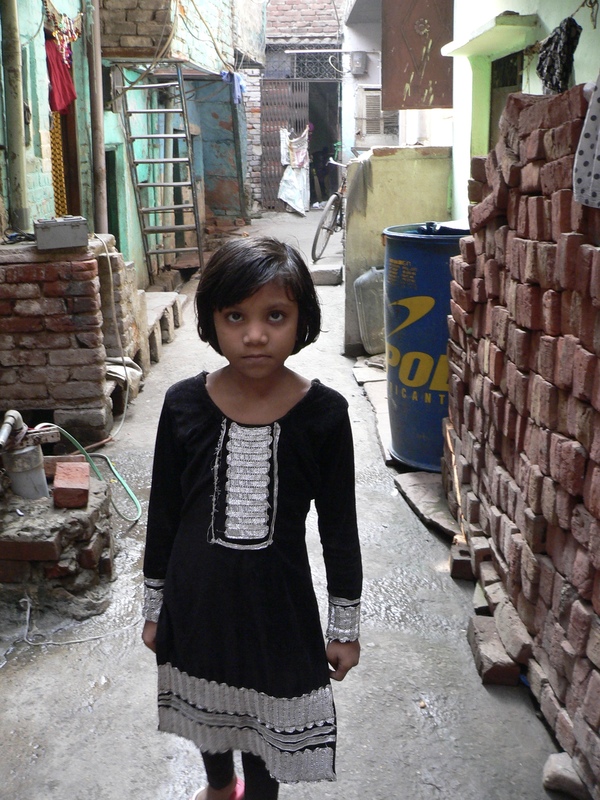 Today we went to the slums (which officially are illegal.) The resettlement areas, where the goverment have housed the poor people, were very poor. 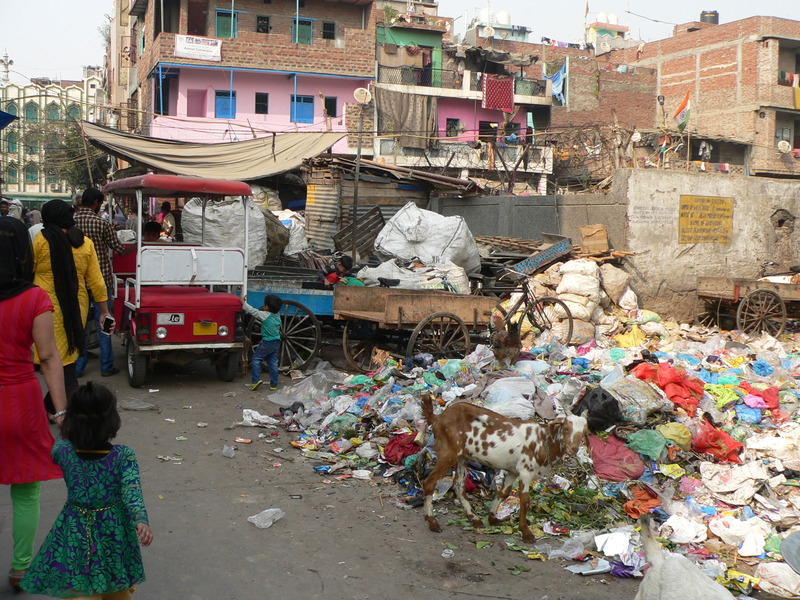 The slums are worse. Hard to get your head round the poverty, these people have nothing. We left our bags in the charity office, though could take our cameras as people are used to the charity taking photos to use in campaigns for help. We left the lanes and walked into the slums. Unfinished buildings in haphazard places, sometimes so close together that it was like walking through a dark tunnel, a 2ft wide pathway with sewage in the open ditch next to you, fat electricity cables in a tangle above you. We had to walk in single file. The houses leant towards each other, there was almost no light, a foul smell, and children playing at the corners. 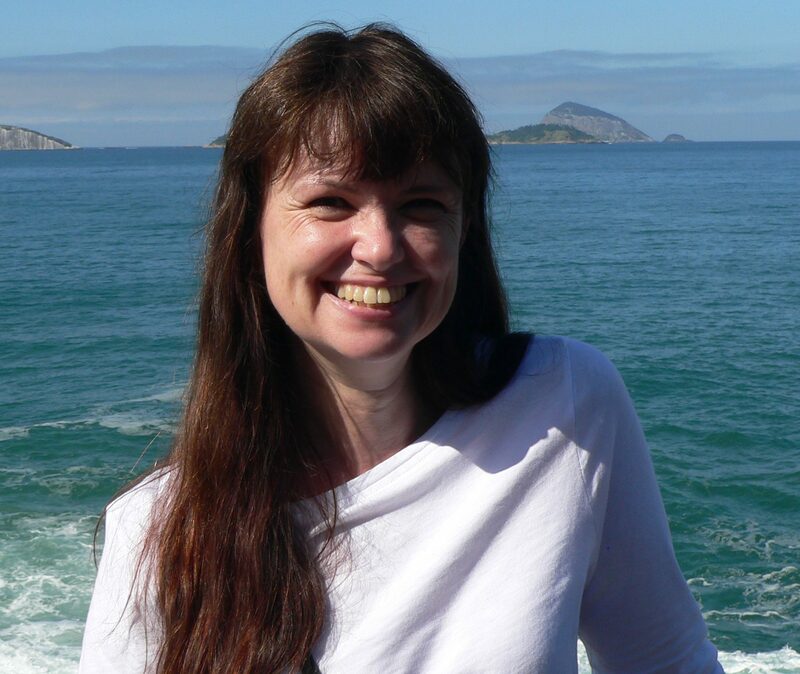 Their homes were a room in a concrete building, with a rug on the floor and a few possessions heaped into the corners. No furniture at all. It makes you feel a bit lost as to how they can best be helped. 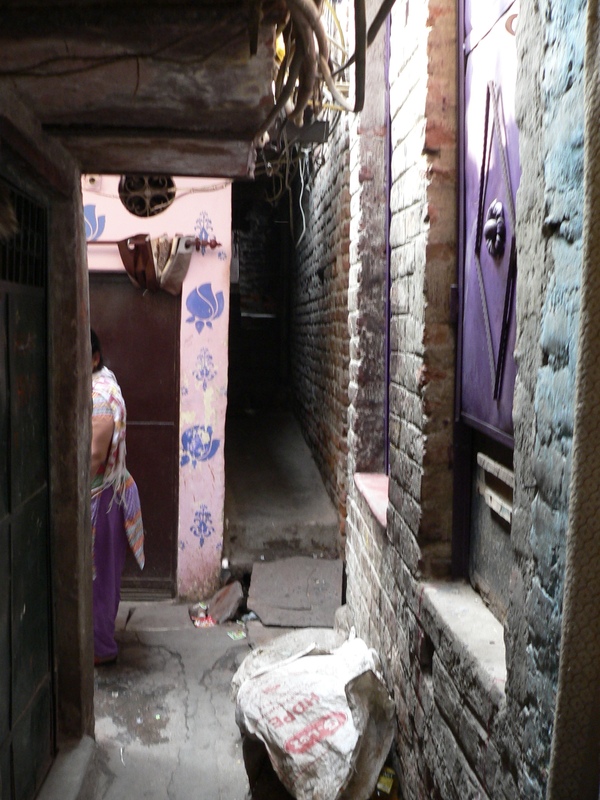 We saw a woman through an open door, sitting on the floor, beating wet washing with a stick. 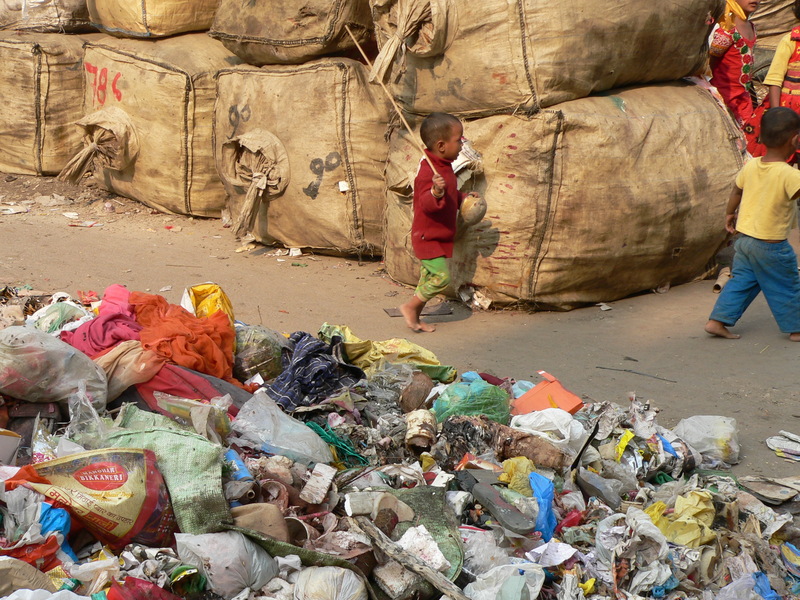 We saw several groups of ‘rag pickers’. 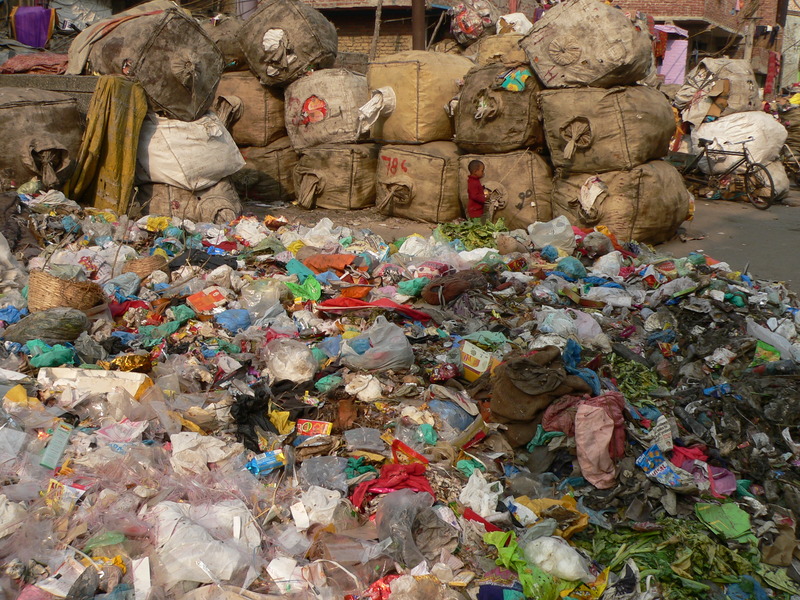 They have bought huge sacks of rubbish, which they then sort into bags of paper, plastic, metal. They can then sell this for a small profit. 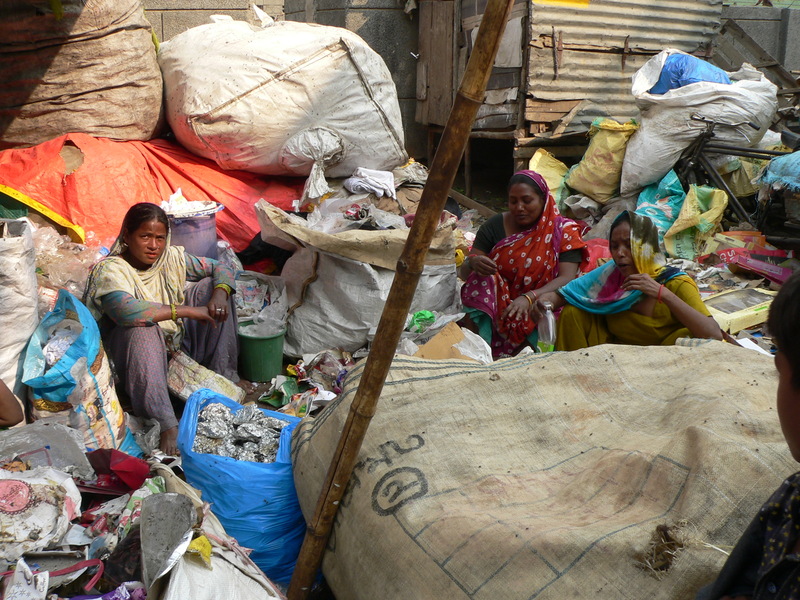 Whole families sat on the ground, sorting rubbish. There was a park/children’s play area. A square of litter strewn hard earth surrounded on all sides by buildings. The charity had bought two climbing frames and children hung upside down from them, watching us walk. Three women sat in the corner on a dirty rug. 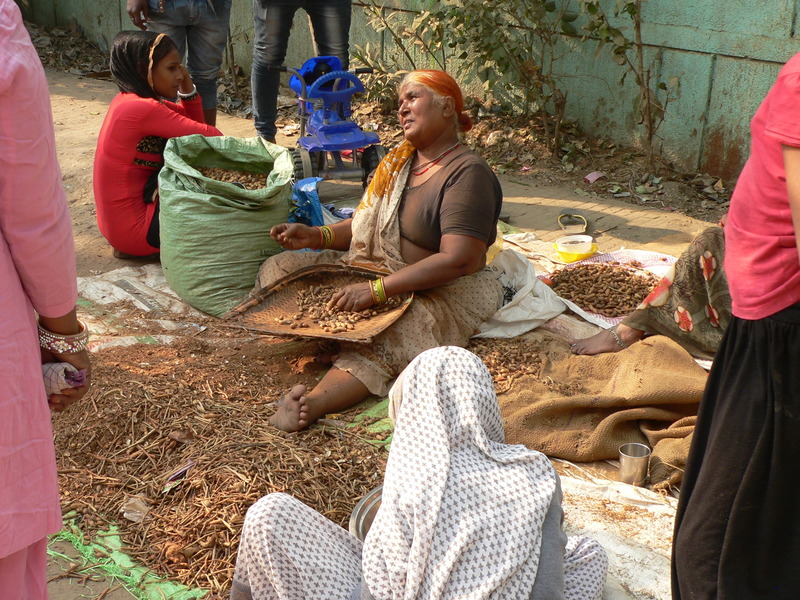 They had bought a sack of nuts (300 rupees – £3) and were sorting the husks from the nuts. It would take them all day. They could sell the sack of sorted nuts for 400 rupees. It cost them 50 rupees in transport, so 50 rupees for a days work (about 60p). Several buildings had electricity meters on them. The goverment had provided these, to try and prevent the fires breaking out, which were common. 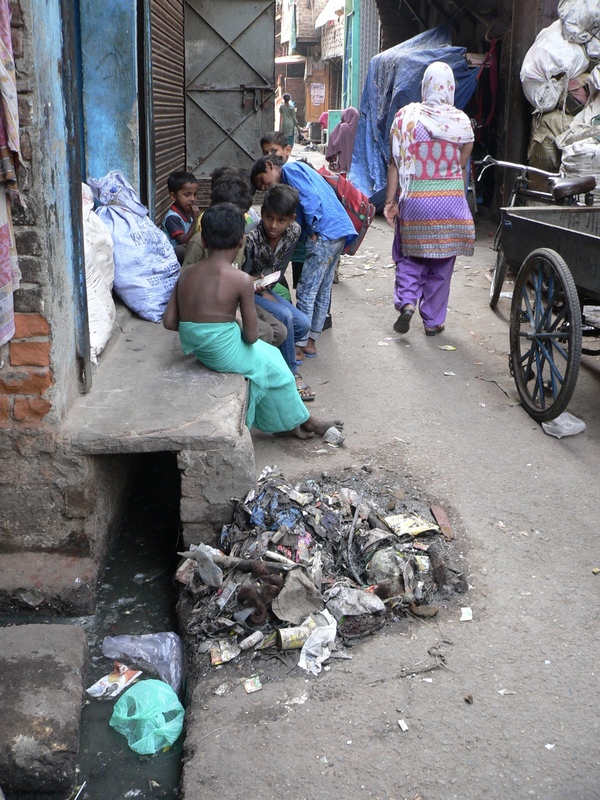 In the rainy season, the area floods, carrying the sewage and rubbish into the houses. 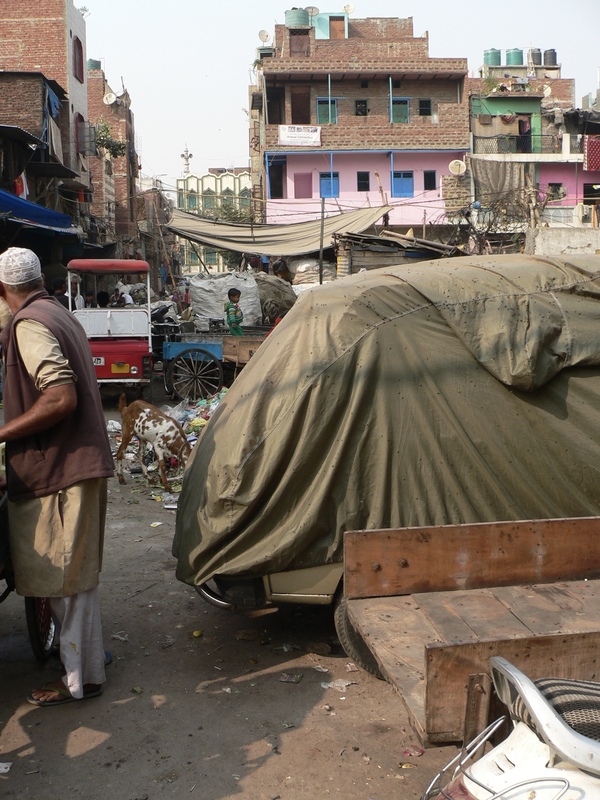 The area is home mainly to Bengali speaking Muslims. Some would be immigrants from Bangladesh, some were Hindu Indians. 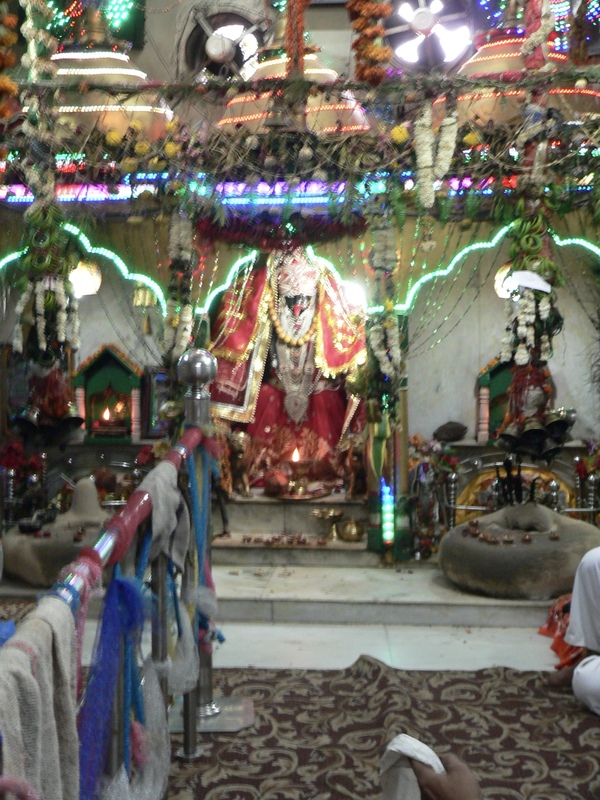 There was a Hindu/Muslim ‘temple’ – a room decorated with fairy lights and flowers and brightly painted pictures. It wouldn’t have been out of place in Vegas! It was a symbol of unity, showing that Hindu and Muslim people were tolerant of each other, trying to work together. It surprised and impressed me. There is a huge bond between women. I felt exactly the same as the women we met, I kind of knew what they were saying as they showed us around. We had met them at the charity office, and now they were showing us where they lived. 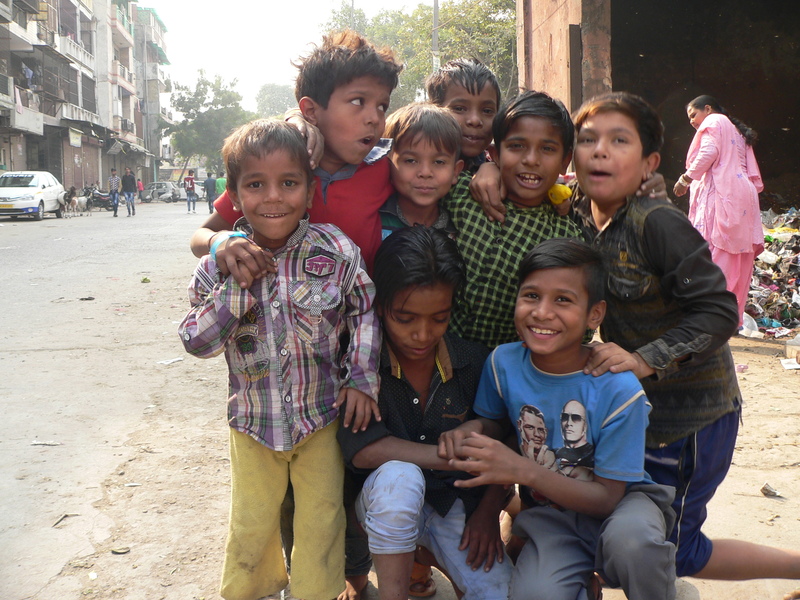 They hugged me when we left – I dont know why really, I didnt help them in any way, I just shared a tiny bit of their lives. But I think women recognise something inside of each other, a shared understanding that transcends culture or language or possessions. When I stroked their babies or they held my hand so I didnt trip near the open sewer, we were equal, the same. Not sure if I’m describing it properly, but I hope you know what I mean. There were lots of children and lots of animals. 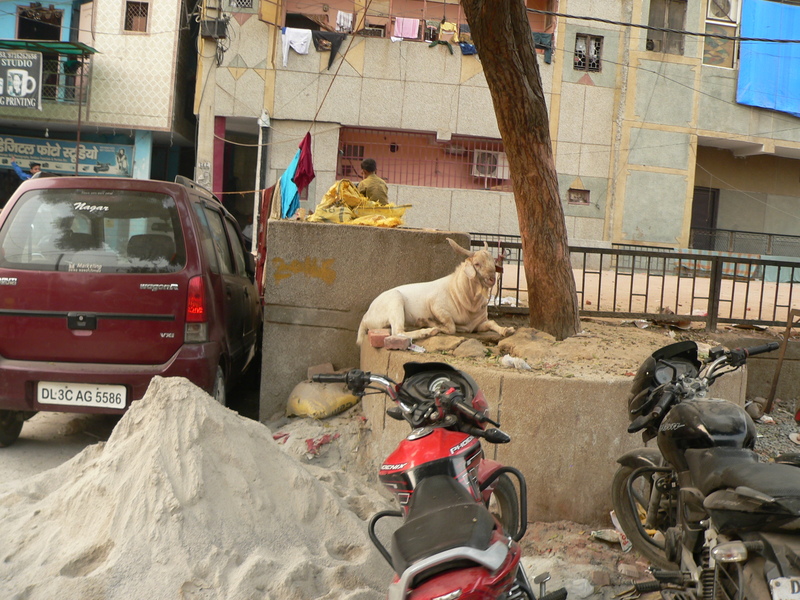 Goats and dogs mainly, but a few birds too – even a dusty duck searching through the rubbish. There were chickens, many to a wire cage, stacked on top of each other. You wouldn’t want to be a chicken in India. The children were playing. They would be holding a stick, or a piece of rubbish, but you could see they were making up some story in their head. Or else they were teasing each other and laughing. They were, bizarrely, happy. They wanted us to photograph them, and punched the air in triumph when we took one! They were very funny. So how can these people be helped? Tomorrow I will tell you about the school we visited, and what the charity is actually doing to improve the situation. Rag pickers, sorting the rubbish into type. The narrow lane – like a foul smelling tunnel, so narrow it was almost dark. Piles of tar and litter and excrement, next to the open sewer. The women sorting nuts from husks. The husks can be burnt for cooking. 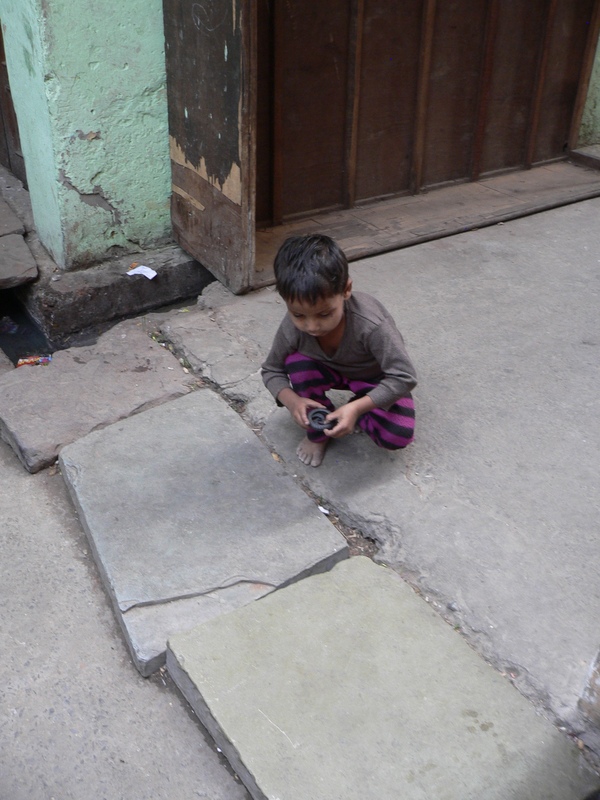 Wherever we went, there were children playing. 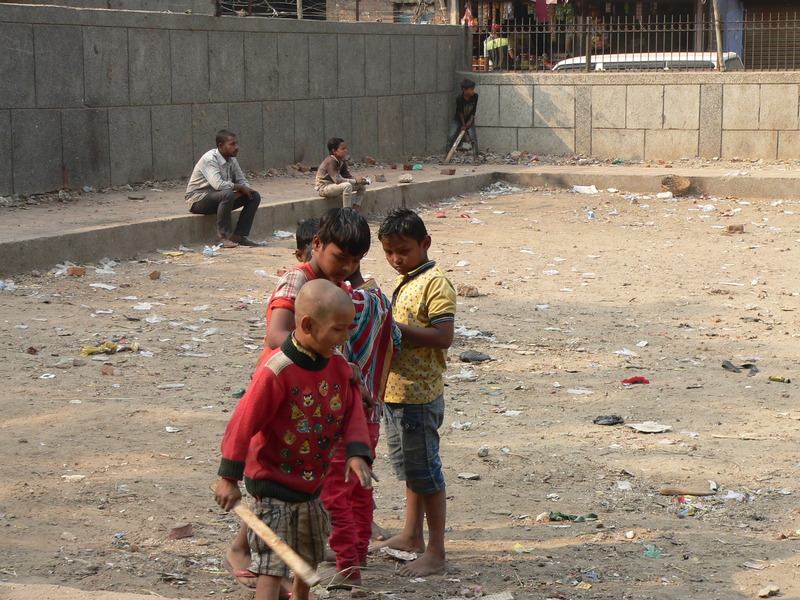 A rubbish tip – but if you look carefully, you can see the children playing. Barefooted.